If you remember the burning stick in a velvet box hand warmers then this is the new 21st century equivalent. The Sanyo Kairo Rechargeable Hand Warmer is available in either a (rectangle) two sided or a (oval) one sided version bring computerised warmth to your hands. Using to rechargeable AA batteries they can be charged up to a 1,000 times and provide 1-3 hours continuous warmth. and each one has three settings high, low, and turbo for 102 – 115° Warmth, and they measure approximately 3.4 inches by 2.0 inches by 0.75 inches. 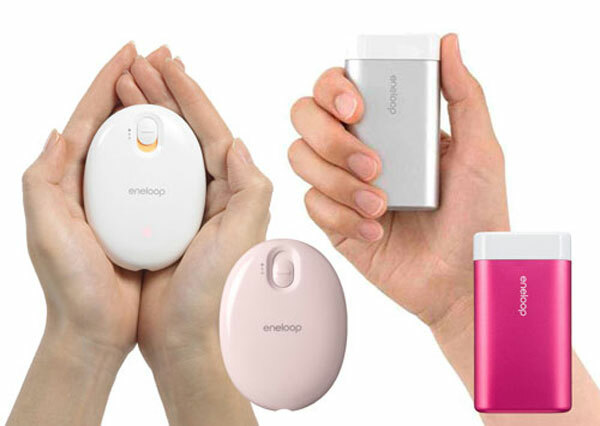 The Sanyo hand warmers start at $34.99 for the oval shaped and $44.99 for the rectangle shape on the right., all can be purchased from Sanyo direct.